This is our 23rd year designing Scottish tours, each year we discover new places, new experiences and include them in our bespoke, personal tours. This is a sample of what you can expect in the best small country in the world. Day 1 We meet you wherever you wish to start – Inverness, Aberdeen, Glasgow or Edinburgh. Your driver guide will of course, have a good single malt dram ready for you. We drive through superb scenery taking you to the highlands, via some quite remote and beautiful scenery, ending in Braemar, near the royal castle at Ballater. Your hotel is richly furnished, has the most amazing traditional Scottish bedrooms, antiques and object d’art everywhere, a good bar and a nice cocktail bar, the food is delicious – we have stayed ourselves, we know what to expect! Day 2 We visit the Victorian town of Pitlochry the Perth, to see Scone Palace, a ruined castle, wee shops and a choice of 3 whisky distilleries. Should you wish to golf, or fish for salmon, we can arrange it. Another fabulous night in Braemar. Day 3 After breakfast we drive north through stunning scenery, quite desolate in places, arring into Speyside, where we visit Ballindalloch Castle. Finished in 1546, to this day it remains the family home of the latest two generations of Macpherson-Grants. We have lunch time at Glenfiddich Distillery and sample their excellent food and drink. This afternoon a visit to Johnstons of Elgin, also known as Johnstons Cashmere, a woollen mill established in 1797. The same mill produces cashmere garments today, an excellent shopping experience. With some local sightseeing, we end the day in a wee village, Rafford, where you stay at a luxury Georgian Country House nestled in 300 acres of private estate. The stately bedrooms offer spacious, pristine, furnished with individual furniture and antique pieces. In keeping with the rest of the house the bed linens are all high thread count cotton with duck down pillows and Hungarian Goose down duvets. The mediterranean bathrooms are tiled with porcelain tiles and contain twin washbasins, bath, WC and a separate large walk-in powerful shower. In addition on every floor there is a kitchenette containing sink and fridge together with glasses, mugs, china, and cutlery for guests independent use. You will enjoy the splendour here – as we have in the past! Day 4 sees us exploring whisky country and wee harbours on the Moray coast. Shopping available includes antique shops, Baxters and Brodie Countryfare. If whisky is not to your liking we will discover other exciting visits, if whisky IS your pallet, we have so many distilleries to choose from, including full on visits, to tastings and blending your own whiskies. Return to your country house for a final night. Day 5 We leave Speyside and head west along the Great Glen to Oban. With some free time here, we then head south, stopping at 5000 year old standing stones and burial cairns, before arriving at your loch side, castle accommodation, your home for the next two days. 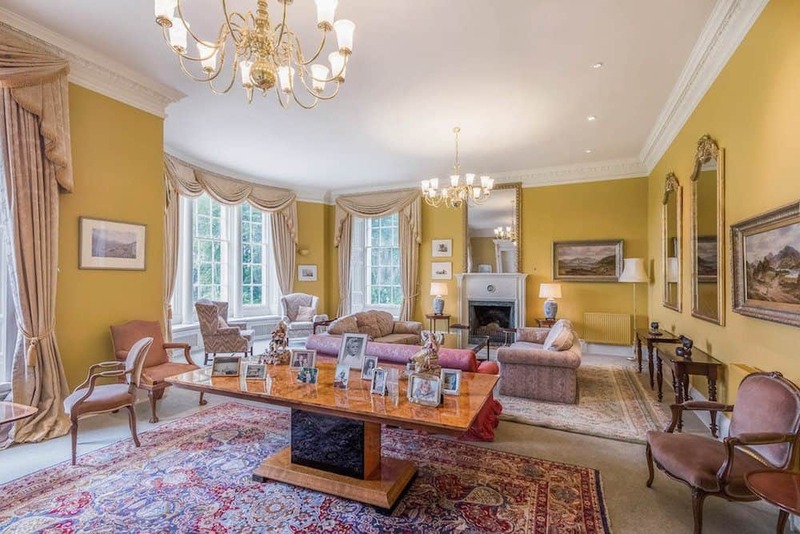 Built in 1837, the castle is a fine example of Scottish baronial architecture and retains much of its original furnishings, wood panelling, ornate ceilings and marble fireplaces. 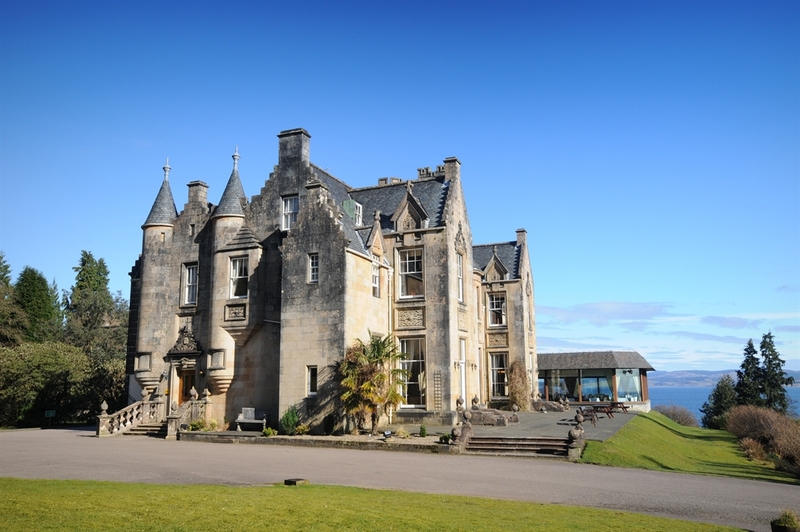 It is set in 60 acres of woodland gardens, lapped by the shores of Loch Fyne. We can arrange a wide range of activities, from walks and wildlife spotting, to ferry trips and fishing, even horse trail riding on a private estate. This area is a golfer’s paradise, with five courses all within 40 miles of the castle. For those adventurers amongst us why not go on a journey to Seil Island and the Corryvreckan Whirlpool – second largest in Europe. 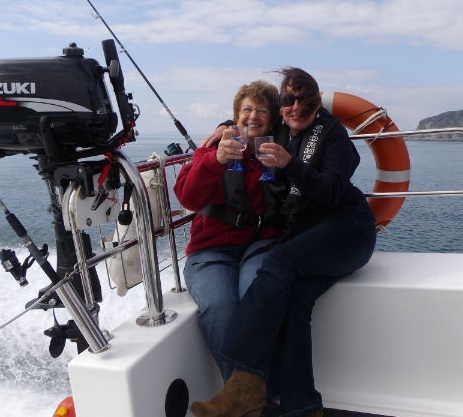 We can charter our boat via friends and have a stunning day afloat.